The death of a Thiruvananthapuram native in front of the venue of its indefinite hunger strike outside the Kerala secretariat has given a fresh ammunition to the Bharatiya Janata Party (BJP) reeling under the recent poll debacle it has suffered in the Hindi heartland. The party has insisted that 49-year-old Venugopalan Nair, who allegedly set himself on fire at around 2 am on 13 December was an Ayyappa devotee and he had resorted to the extreme step, disheartened with the Left Democratic Front (LDF) government’s handling of the Sabarimala issue. The saffron party held chief minister Pinarayi Vijayan responsible for the death and called for a dawn-to-dusk state-wide shut down strike (hartal) on 14 December. However, the dying declaration given by Nair before he succumbed to the burn injury at the Trivandrum Medical College Hospital around 4 pm has no mention about Sabarimala shrine and the ongoing protests against the entry of menstruating women in the hill shrine, according to police. The declaration recorded by the doctor who treated him and a magistrate said that he was disillusioned with his life and had no desire to continue with it, police officials said. The deceased, an autorickshaw driver from Muttada in the capital city, had allegedly poured kerosene oil over his body and setting himself ablaze. 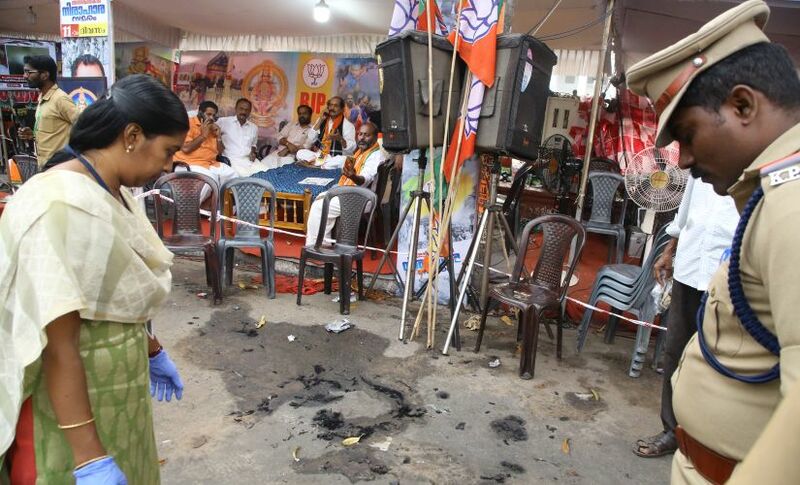 The man in flame advanced towards the makeshift tent, where former BJP state chief C K Padmanabhan was sitting on fast. 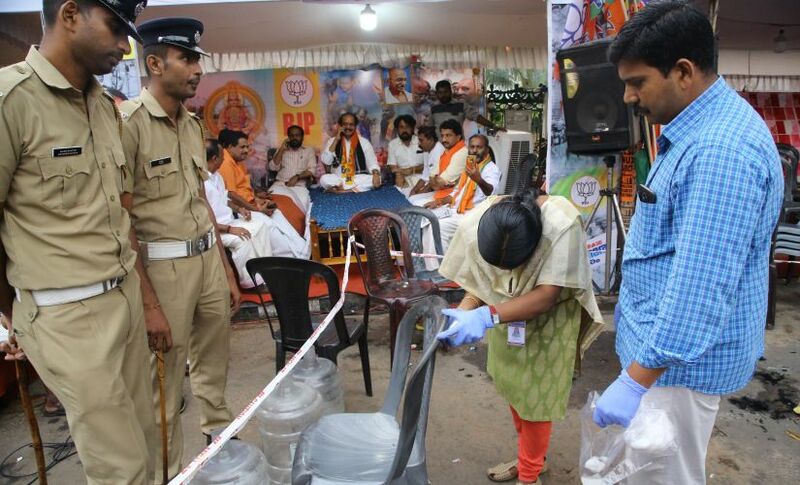 The police and the BJP workers present at the spot doused the fire with drinking water stored at the tent and rushed him to the Trivandrum Medical College Hospital. However, the doctors could not save his life. Nair succumbed to the burn injury around 4 pm. Padmanabhan said Nair was an Ayyappa devotee and he was mentally upset with the failure of the LDF government to address the concerns of the devotees and pay heed to the protests. He said that the man had advanced towards the protest venue chanting 'Swamiye Saranam Ayyappa'. “The devotee set himself ablaze saying that he could do only this for Lord Ayyappa. The incident shows the emotional turmoil caused to the devotees by the government’s anti-Sabarimala stand. The Chief Minister, who is trying to curry support for the entry of young women in the shrine, is playing with fire. 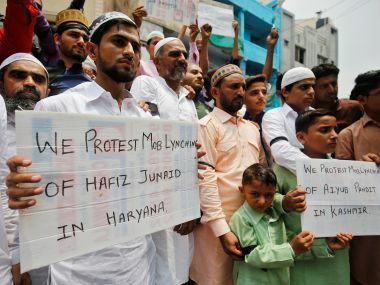 The state will witness more such incidents if it does not realize the sentiments of the devotees and change its stand,” the former BJP chief said. The Cantonment police, which is investigating the incident, suspects family issues behind the extreme step that the deceased man has taken. Cantonment station sub-inspector Jijin G Chacko told The Indian Express that Nair was abandoned by his family, including his two wives and children. He said that family issues could be the reason for the suicide. However, why Nair chose the BJP protest venue for the suicide is a mystery. State Devaswom Minister Kadakampally Surendran wondered how a man could set himself ablaze in front of the protest venue, where several people were present at that time. Alleging mystery behind the incident, the minister said that the government will conduct a high-level investigation into the incident. The family members of the deceased have not come up with any complaints against the death. Sources close to the family said he was a sympathiser of the Sangh Parivar. 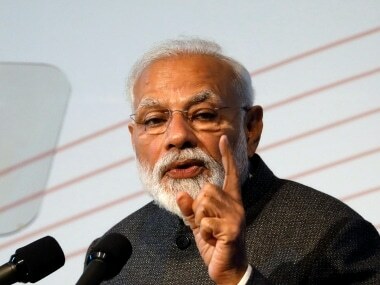 A family member was heard telling a local television channel that he was associated with the Bharatiya Mazdoor Sangh, the trade union wing of the Bharatiya Janata Party. However, state BJP general secretary M T Ramesh has denied this. He said inquiries by his party workers showed that he was not a member of the Sangh Parivar. 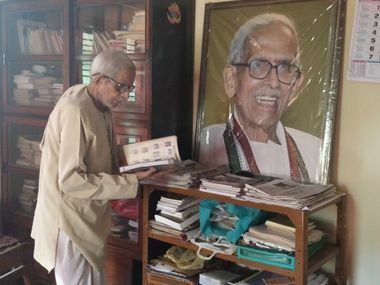 “Nair was a strong devotee of Ayyappa and he used visit Sabarimala on the 1st of every month,” Ramesh said adding that Nair had not visited the party’s protest venue before. "He came to the venue about 15 minutes before the incident took place and talked to our people. He told our workers that he was a strong Ayyappa devotee and was ready to give his life for the Lord. The people there didn’t take his words seriously, but a few minutes later, he poured kerosene oil over his body and set himself on fire," Ramesh said. The suicide by the Thiruvananthapuram native has come at a time the indefinite hunger strike that the party launched in front of the secretariat since 1 December had started losing steam after the political focus shifted to the electoral debacle that the party suffered in the assembly election in the five states, especially in the Hindi heartland. A senior party leader said that the electoral setbacks the party suffered in Madhya Pradesh, Rajasthan and Chhattisgarh had affected the morale of the cadres. The leader, who did not want to be identified, said that the number of party workers visiting the protest venue was dwindling since the declaration of the election results. “We need to do something drastic to lift the morale of the cadres. Our national leadership would like to make up the loss that the party may suffer in the north in the coming Lok Sabha election from the southern states. The party is banking heavily on Kerala in this regard,” he added. State BJP president P S Sreedharan Pillai had described the Sabarimala issue as a golden opportunity for the party to make inroads into the state. However, a section of his colleagues and the RSS in the state as well as the national leadership are of the opinion that he has failed to cash in on the tempo. In fact, the RSS is learnt to have started touting for a new leader to head the party. Top RSS leaders have mooted the name of general secretary K Surendran, who was put behind the bars by the police for his mission in Sabarimala. Massive crowds of party workers had gathered outside the Poojapura Central jail in Thiruvananthapuram to welcome him when he was released from the jail last week. Pillai has been trying to bring national president Amit Shah to Sabarimala in order to infuse vigour into the party cadres. However, party sources are doubtful whether Shah can come to the state in view of the post-poll exercises. 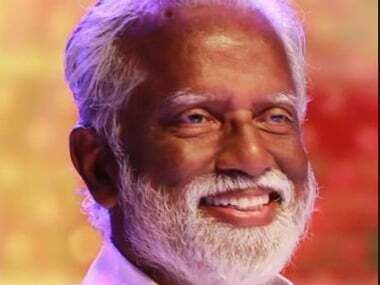 Pillai, who is in Delhi to take part in the meeting convened by the party president to take stock of the electoral reverses, is expected to meet him and urge him to visit the hill shrine before 20 January when the Mandala Pooja - Makaravilakku season ends. Meanwhile, the Sabarimala Karma Samithi and the Congress-led opposition United Democratic Front are gearing up for a fresh offensive against the attempt by the government to create women wall from Kasargode to the state capital on 1 January to drum up support for gender equality. While the Karma Samithi, which include some Sangh Parivar outfits, has decided to counter the women wall by lighting “Ayyappa Jyothi” across the state, from the southern tip of Parasala to the northern tip of Manjeswaram on 26 December, the UDF is planning to hit the streets after calling of the 11-day satyagriha in the state Assembly. The opposition, which disrupted the proceedings of the assembly on all 11-days it met demanding the withdrawal of police restrictions in the hill shrine, has shifted the focus by calling the human chain by the women a communal wall. Opposition leader Ramesh Chennithala alleged that the women’s wall being organised by the government with the help of a section of community organisations was intended to communally divide the people and asserted that they would defeat the move.